Seeing The First Lady of the USA! What an exciting day we had up in Montgomery County, PA yesterday! 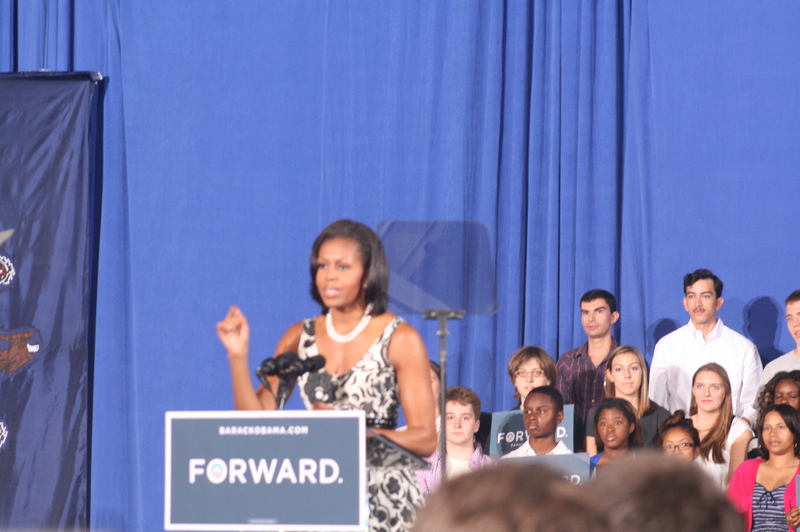 I got an email, said to pick up the tickets and come on up to see First Lady Michelle Obama. Brian literally held the camera over the heads of other people (zoom lens). We arrived late, got our purses searched and walked through a metal detector. 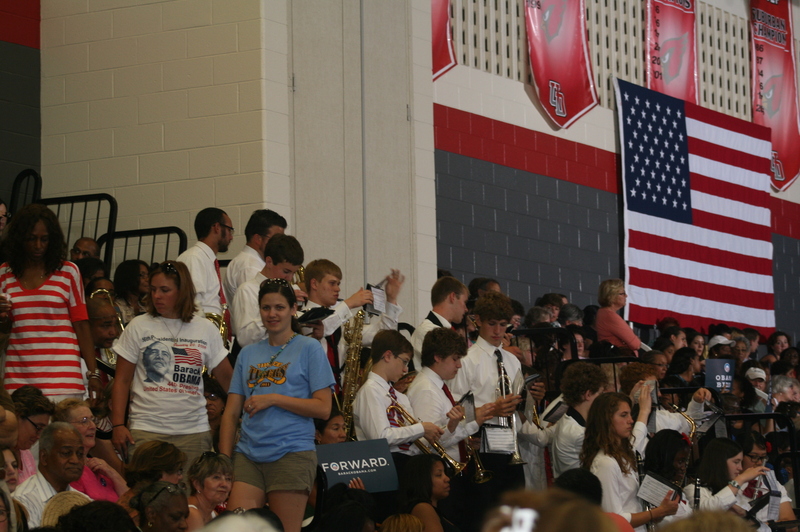 We had to stand almost an hour to wait for Mrs. Obama. The school (Upper Dublin high school, about an hour from here) only had the one side of bleachers open. Thank goodness my mom had a fold up chair, but that little lady had to walk from a field. Not too bad right? We only got a few clear ones. We took my almost 82 yr old mom along as none of us has ever seen a First Lady before…just their inaugural gowns in the American History museum. 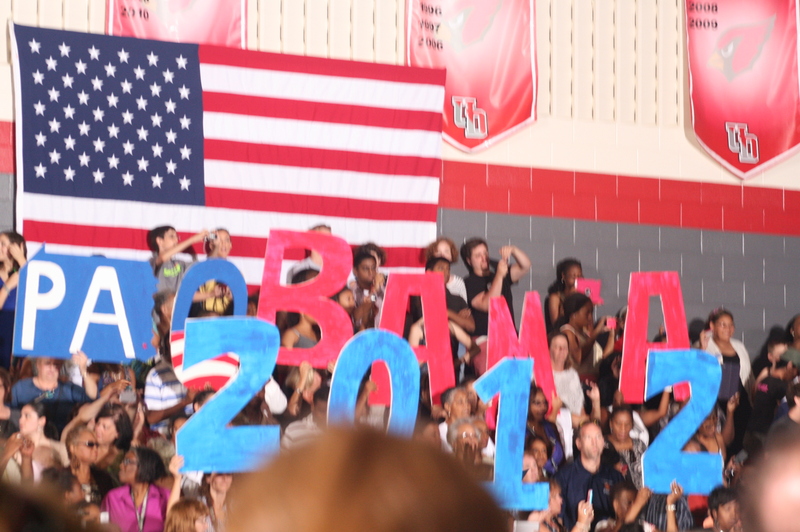 Sean has seen both Barack Obama at a Penn State rally and Bill Clinton. The First Lady is a very thoughtful, intelligent speaker. People tend to forget that both she and her husband come from humble backgrounds. Barack was raised by a single mother and his grandparents (I was raised by my mom and grandmom). 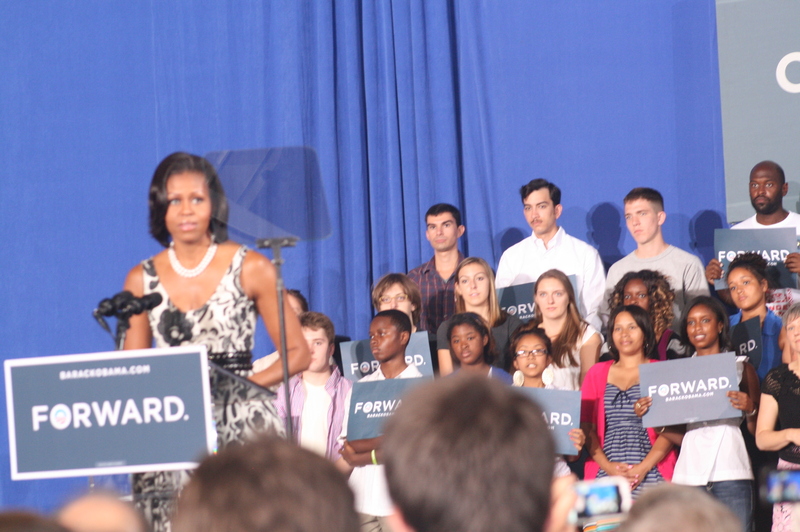 I know she probably repeats this speech a lot, but it was interesting to the 1,800 people there. We all had to go pick up the tickets to be able to go in. Send some good vibes as the hubby got a phone call yesterday while we were out for a job interview! First here are the good vibes for the job************!!!!!!!*************. How exciting to see the first lady speak. I have never seen a first lady or a Pres in person.